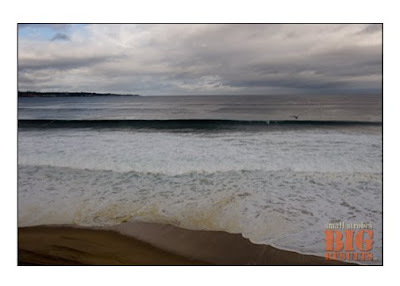 Recently, I lead a Mentor Series Trek to Monterey, California for Popular Photography Magazine. Despite several days of rain, we managed to get some fun images. 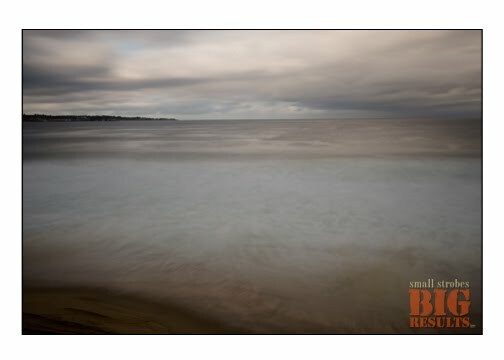 Before the trek, I bought a -10 stop B&W Neutral Density Filter so I could shoot some long exposures of the ocean in the daylight. In the first image, my exposure was ISO 200 f/14 @125th of a second. With the neutral density filter in place, my exposure went from 1/125th of a second to 15 seconds. With a super long exposure, objects that move such as water take on a surreal look. I actually prefer converting long exposures into black and white for a more dramatic effect. 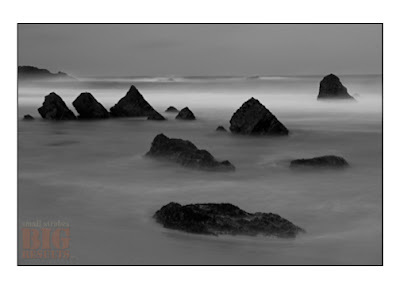 Here is another long exposure at Garrapata Beach. The exposure was 20 seconds on this particular image. 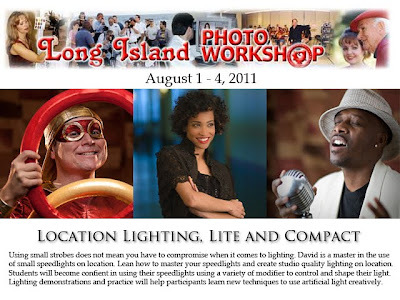 I'm delighted to be involved with this years Long Island Photo Workshops! I'll be teaching a course about location lighting "Lite and Compact". The workshop take place in Smithtown, Long Island, NY. This will be the workshops 33rd successful years in providing the finest leaning experience for professional photographers. If your in the area and would like to spend 4 days with me learning the in's and out's of lighting on location with speedlights, this workshop is for you! 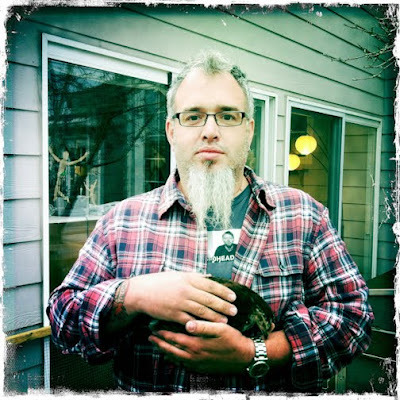 I expect the workshop to fill fast, so don't wait to sign up for this workshop. For more information and registration visit the Long Island Photo Workshops. I might also mention, if you are a PPA member, you will receive 2 merits for your attendance. 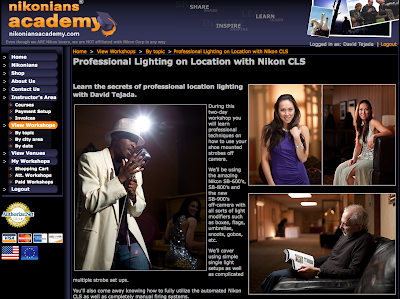 Nikonians Academy "Lighting on Location"
San Francisco, CA on October 22 & 23, 2011. I'll be teaching a two day, hands on workshop called "Professional Lighting on Location with Nikon CLS. This workshop is similar to my Small Strobes, Big Results workshop except that we use the Nikon CLS system, hence the name Nikonians. If your a Nikon shooter and you've never heard of the Nikonian Org., I recommend checking them out. They have a great web site with lots of information. I hope you'll check out the workshops, I'd love to help you with your lighting education. 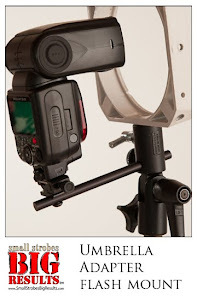 While in Dubai this past March, my friend Zack Arias told me about the SaberStrip light modifier. I had an opportunity at my recent SSBR workshop to try one of them out. This is a very clever modifier, with a tremendous amount of versatility. The SaberStrip is extremely lightweight, easily mounted and can be hidden easily due to it's small foot print. The set up shot below shows the placement of the SaberStrip. I have a FourSquare™ on a boom and the SaberStrip on a stand below. In this sort of glamor lighting situation, a reflector is often used to return the overhead light to fill the shadows and provide a catch light in the subjects eye. I've found that using a light, (SaberStrip) rather than a reflector provides a simple and effective lighting solution. By using an actual light, (the SaberStrip will hold most popular speedlight) you can adjust the intensity of the light to your taste. Just as a production note, you'll notice out of focus lights in the background of the final image below. I hung white Christmas lights behind the subject just for effect. What I really love about this phone is the camera and all the photo Apps that are available today. While teaching in Dubai this past March, Zack Arias introduce me to "Instagram". Instagram is sort of a photo twitter where you can share your photos... photos that you take with your cell phone. 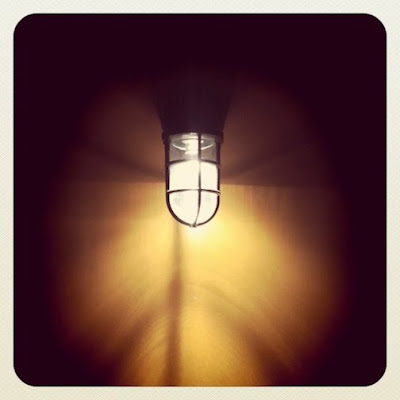 The App has various filters you can use to enhance your photo before posting to Instagram or other sites. You can up load your images at the same time to sites like Facebook and Twitter. I really think you need to check this out, I follow several shooter and I encourage you to follow my work as well. Follow davidtejada. 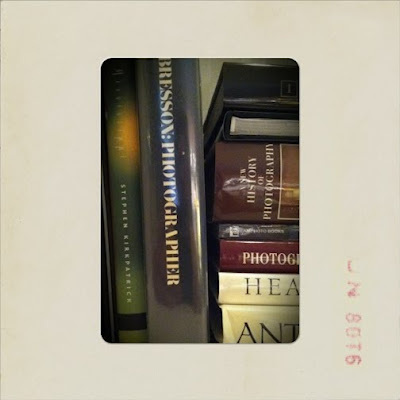 There are other Apps I'm have fun with as well Hipstamatic, Cameramatic, Camera+, and Pinhole. 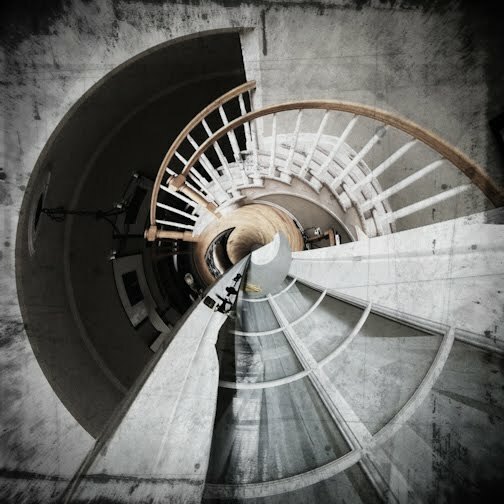 Here are a few images using some of those Apps mentioned here. 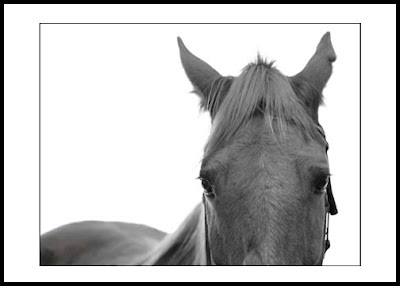 I was out visiting my wife's horse over the weekend. Joe is his name, he has got to be the nicest horse I've ever had the pleasure to know. I tell my friends that I think my old dog Sophie is in Joe. 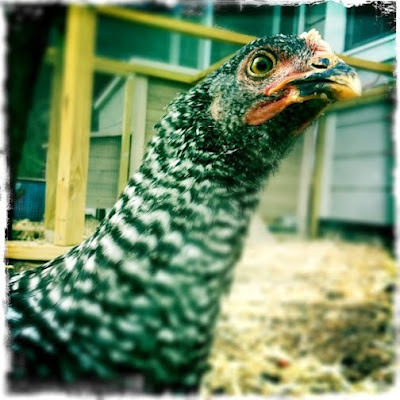 I don't know if you have ever had that sort of experience with a pet before? I don't know, I just feel it. I try to take my camera with me where ever I go, you just might get lucky some day. I've really started to get into shooting with my iPhone. I'll make a post about that later. I did want to share photo of Joe from this weekends visit. I decided to switch my display to Mono or B/W as I intended to convert the Raw images to B/W.